When you adventure into amazing, wild and exhilarating Africa, there is one thing you must have… a truly excellent guide. They are the critical link between the guest and the wildlife experience, as they can either make or break your African safari. What’s the point of eating good food, receiving great service, having restful sleeps but not getting the safari experiences you most wanted because your guide lacks knowledge, experience, passion or personality? Exactly... Truly gifted guides love it all, and share it all, passing their love of nature on to you. They play an important role as a link between the bush surroundings and yourself. Craig is such a guide. His natural charm, high energy, easy going nature and passion for Africa comes through in all that he does. His first love is the African bush, His natural inclination is to seek out the less travelled path; he loves to explore new areas and search out unique experiences which, when combined with a sense of fun and adventure, guarantee an amazing safari. Born in South Africa, he spent his childhood in the wilds of Alaska where his passion for nature and wildlife was born. At the age of 10 he did his first Kruger Park safari...and as they say, the rest is history. He returned to South Africa as a young teenager where his lifetime of adventuring in the bushveld began. He spent every available minute out on camping trips exploring every unfamiliar corner of the map – the more remote the better – and in such settings, Craig’s passion for nature and wilderness was nurtured. 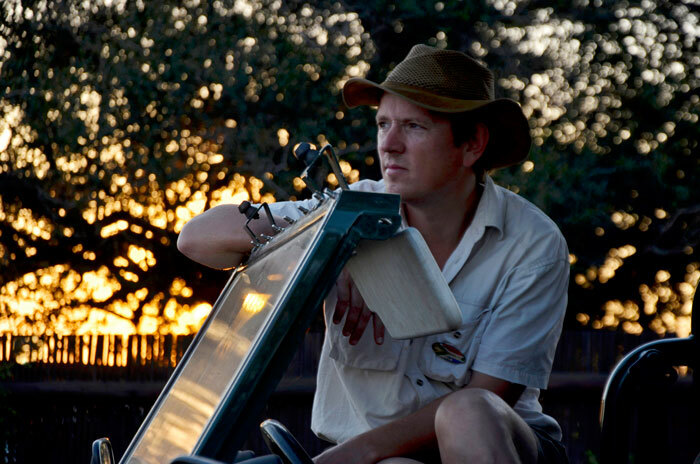 He not only has an intimate knowledge of the area, wildlife, birds, geology, trees and grasses that only comes from experiencing the African bush on foot, but he also has a way of giving you new insights on nature, wildlife and our own place within it. His vast experience in the bush makes him able to read and interpret the behaviour of wildlife. This not only keeps you safe around dangerous game like lions, elephants, rhino, buffalo, leopards, but by being able to anticipate their behaviour, it allows you to get some great action shots with your camera. Because he also free-lances as an official Kruger Park guide who can lead Kruger activities such as guided walks or night safaris, he knows the Kruger Park inside out which allows him to explore with his guests the less travelled path and search out unique experiences. An avid reader, he has developed an extensive natural sciences library. And as an avid conservationist, he has been very involved in anti-rhino poaching projects in and around the Kruger Park. He and his wife, Alison owned a private lodge on the border of the Kruger Park which provided invaluable experience in developing his skills as a guide, leading trips, acting as a host and revealing the natural wonders of Africa to guests. The experience convinced him that he must follow his true path in life… exploring his passion for the African bush and its remarkable wildlife and sharing this knowledge with people of all ages – and so Nandzana Safaris was born. In 2015 Craig and Alison welcomed their daughter, Tessa, opening up an opportunity for Craig to watch a child of his own grow up in the bush, sharing her parents' passion for Africa.